Here are a dozen examples of what not to do. 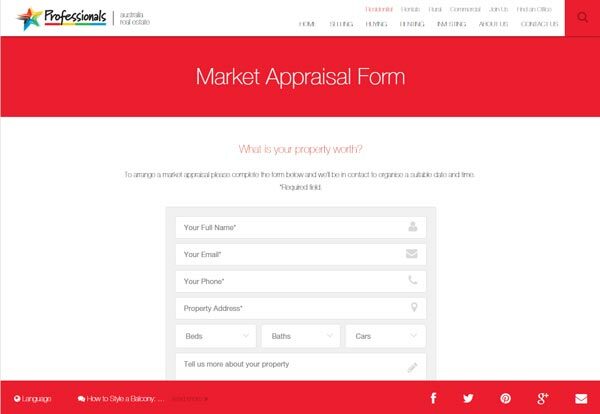 Would you fill in the form on your appraisal page? 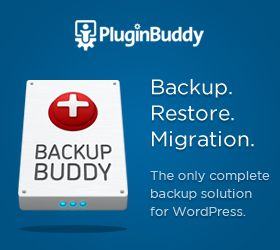 Do your friends and past clients? If not then read on and learn how to craft a killer appraisal page that works. Don’t worry I’m guilty of having the exact same page on my first website. My first appraisal page just had a form asking the visitor for their details with no explanation, reason or benefits to them for filling out the form. And just like the examples above, it did not work. And I had no idea what to do to make it work. My very first website was a TopProducer template site and it had all this pre made content. Well the generic content was crap at best and that’s before having to deal with re-writing everything to convert from English US to Australian English. This was over 10 years ago and a lot has changed since then… thankfully. Define the purpose of your CMA appraisal page. This is what separates you from not knowing what to write about and being able to churn out 2000+ words in a hour, because it just flows. Writing well comes with practice, you will get there like any good skill when you constantly use it and improve. The thing is writing on your website is very much the same style as writing an email to a single person. Not a group or a couple, but a single person that you are having a conversation with about what you do and the benefits that they will get when the fill in the form and invite you over to give them professional real estate advice. 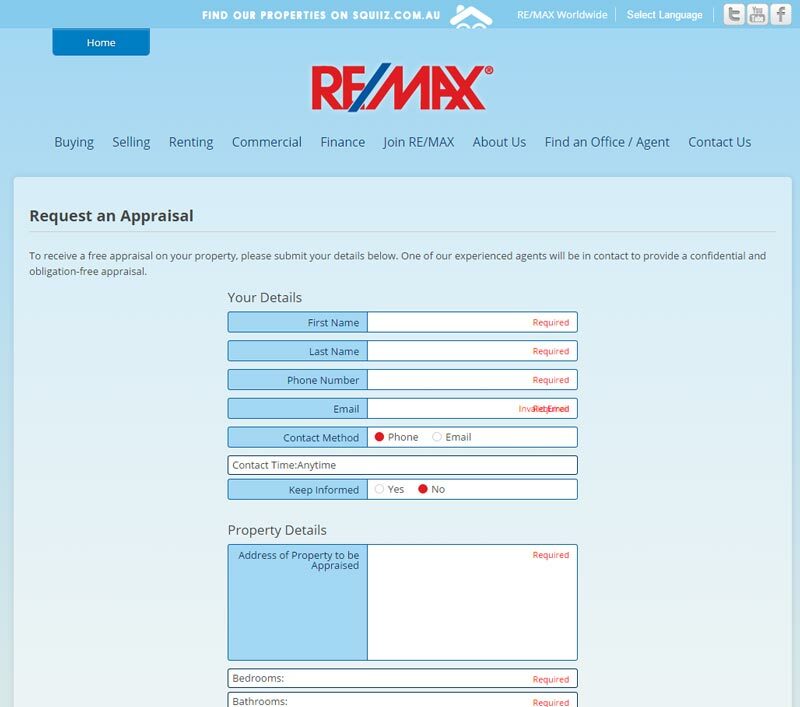 And if they are ready to sell when you visit, 95% of your work is already done from having a clear appraisal page. 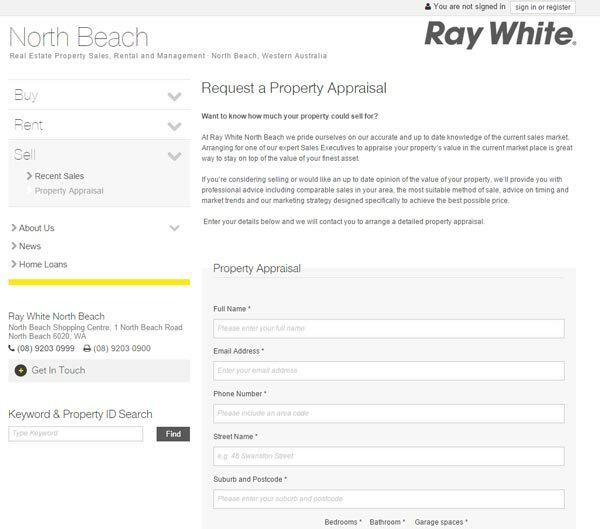 The clarity that you can give to your potential seller through a well crafted and thought out appraisal page will create a night and day difference in your business. If its a fantastic explanation, you will not be able to keep up with the sheer number of seller leads when you have a traffic strategy in place. More on traffic driving later, its the easiest part. Writing is more difficult but like I said it will make a night and day difference to your business. 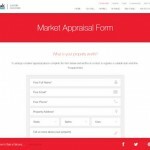 So the purpose of the appraisal page is to persuade a single seller to contact you. Clearly define your the single person you are writing to. This is where the majority of website copy goes wrong. Its really easy to fix this, you just need to know how to write properly on your website. On your website you are speaking to a single person, not a group or couple… A single person, just like you are sending a reply to someone you know in an email. To help you get started, pretend that someone you already know has asked you to explain an appraisal to them. This will help you write a clear message filled with the benefits of your service to them and explain exactly what you are going to do for them. To do this even better start with a clear picture in your mind of who you are writing to. This is your target customer. Think back to your last 10 deals and see if you can see anything in common with the people you have dealt with. Consider all your past clients who are not only most common but the person who was a dream customer who you really got along with and they connected with you. You want to write to that person and this will help you attract more of them. Perhaps you are an analytical type of person and really get along with engineers, doctors or technical minded people. Or you might be more driven and when you deal with other driven people everything just works out perfectly. Another example is perhaps you are very driven and amiable but have a husband or wife who is the analytical type who often find making decisions difficult, especially when selling a house. You may find that embedding your story about how you understand engineers because you are married to one. In any case really brainstorm who your ideal customer is. The more you write to that type of person the more of them you will attract. Who is your target customer, or Bob? Back when I was actively listing and selling like you, my Bob was actually Stephanie and Josh. Stephanie and Josh are a young couple in their 30s with a young child and one on the way. They are first time sellers, have a mortgage on the house and need to sell first to upgrade. Josh is a tradesman who runs his own contracting business works hard, loves his kids and provides for the family. He is also easy going, trusts people and enjoys his big boy toys. His young wife Stephanie was in a great job before starting to raise a family and wants to devote time to the kids and Josh. She is the person driving the move because she is at home and can see the positives of a bigger home. Josh loves his wife and will accept the move, he is a man after all. Stephanie is very amiable and knows her husband very well and wants to make sure that Josh is happy to make a move. They have also been planning to purchase their first investment property once they settle on a new home. 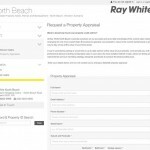 They both understand that they need to find a real estate agent who understands them and they can trust to make the move as easy as possible for them. Once you know exactly whom you are writing to and what their position is, it really is easy to write a clear message that speaks directly to them and offer a clear defined solution to their real moving house problem. Why can’t I just find a copywriter to do this for me? 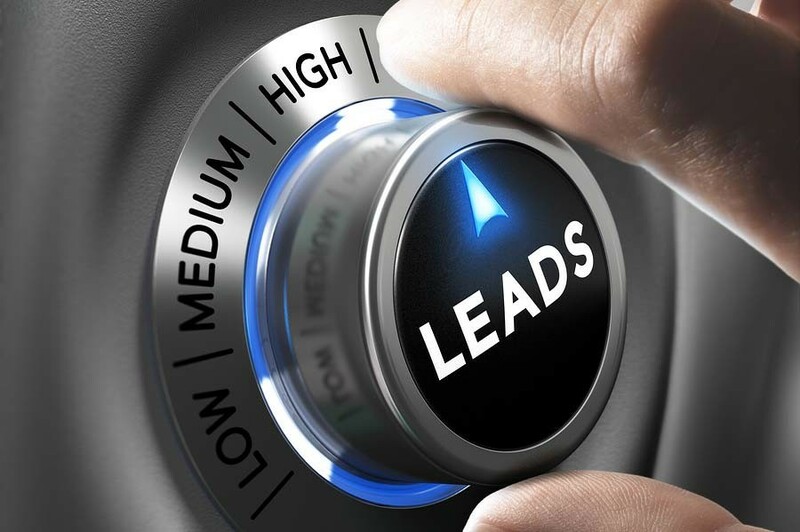 This is the most important page on your website for generating a continual flow of seller leads. Are you sure you want to leave the most important page to someone who does not truly understand what you do? Look, there are a lot of fantastic copywriters out there but many more who truly do not know how to write for the web. This is also the best exercise you can do and it will be the single defining moment that teaches you how to write persuading copy on the web. Once you know how to write on the web yourself, then you can find a copywriter to help you write other pages and assist you with continual blogging. Only you truly know what your offer is and who better to craft that message? Once you have crafted a persuading appraisal page that works, go ahead and find a writer to edit it and assist to make it even better for you. If you do this yourself, your appraisal page will succeed beyond your wildest dreams. Don’t worry about pigeonholing yourself. You can see the results very clearly in the example appraisal pages when a website is afraid to pigeonhole themselves. They are so afraid of missing out, that they don’t write anything and this does not work. It just doesn’t work online; you MUST define your ideal customer as I have shown you with my Stephanie and Josh. There is a limit to how fine you target so make sure this type of person is in ample supply in your target area. Remember this page will NOT push away people who do not perfectly match. In fact you will capture many others who you may choose to refer because you will have more than enough of your perfect target sellers. Additionally the copy that you write and the page that you craft, will have other elements that help attract other types of sellers to you. For a quick example think of a driven person, they are the type of person who avoid reading lengthily copy but absorb bullet point lists and read testimonials as proof. You can always create additional consumer profiles for other pages. 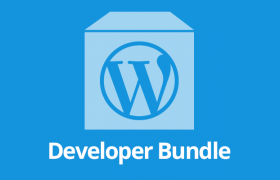 The copy framework is at the end of this page for you to start with. What about my competitors who can come and can see what I do? It does not matter one little bit what anyone thinks of your page except for your Bob and Sally. Firstly the sooner you do this the faster you will fill your days with hot seller leads contact you. They have no idea what to do or how to write and when they copy you, it will not work for them. If they do completely plagiarise, you know what to do. Nope. Shorter is not better. To determine length is really easy. Your copy should be as long as it needs to get your point across to you target reader. It must also be to the point don’t fluff around, be clear and specific and to the point. I, we, us, our, everyone, clients. I can be used now and again but if you start to see lines in the page because of all the I’s…. Tone it down a bit. The word you should be using most is you and your. Instead of everyone or clients use you. “We can do …..” should be: You will get ….. This is conversational second person, is pretty much exactly how you write an email to one person. Just remember this: Website copy is a conversation with a single reader, not a crowd. Continue to use this writing style from now on, you will have far greater success. Rules to follow when writing effective copy on your website. Your sales letter must be written to a single person, your Bob or Sally. You must clearly explain the benefits to them step by step and how important it is that they fill in the form. This page is NOT about you, its about them and clearly explains how you solve their problem. You must keep in mind when you write to answer the question is their mind “What’s in it for me?” This is copy that is all about benefits. Your page will wrap your story, be clear and easy to read. Limit real estate jargon. Remember Bob and Sally do not sell property every day; this is all new to them. Either this is the first time or it could have been 3-7+ years ago and things have changed. 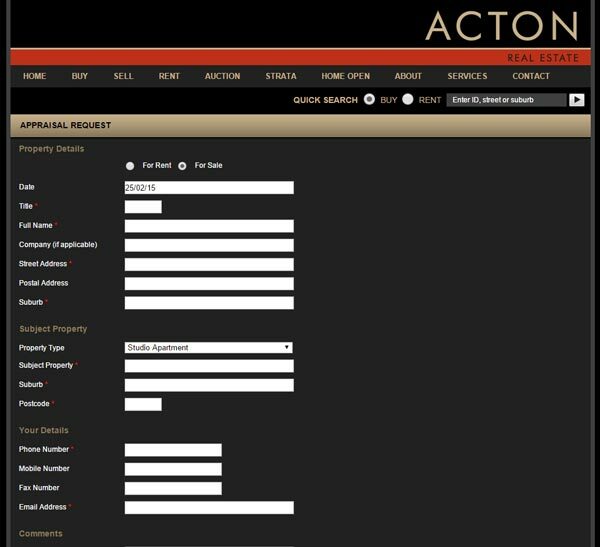 You must ask them to take action and fill out the form a few times throughout the page. 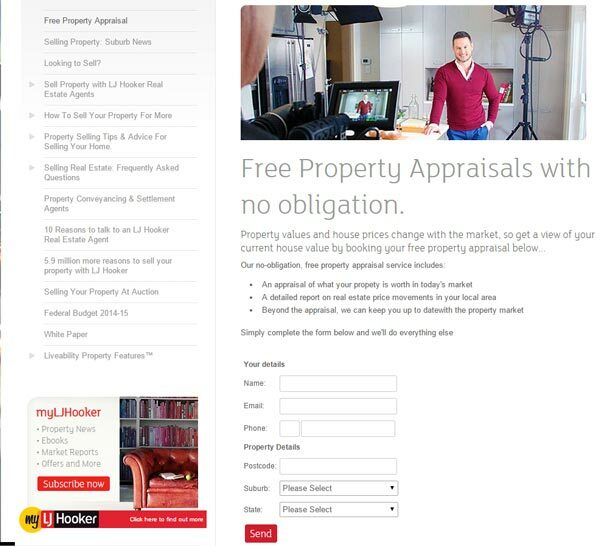 What do I do after I’ve crafted my new appraisal page? Using instant and hugely effective online pay-per-click ads on Google and Facebook. Printing the letter and handing them out at your home opens. Direct mailing the letter to your database. Link to the page in your email footer. 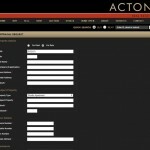 Emailing your database an offer to visit the page. 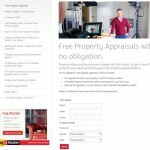 Blog posts that have an appraisal offer ad in the sidebar. 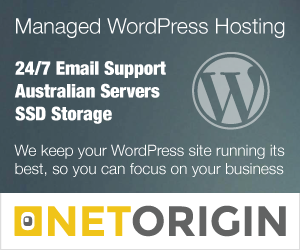 Providing the letter to businesses that you work with like finance brokers, trades, and your network. I’ll cover these strategies in more detail in future posts, so make sure you click here to subscribe to be kept in the loop. 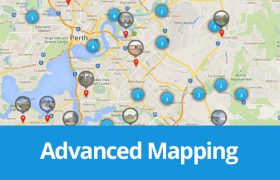 Once you have created an effective appraisal page, tell the world about it. 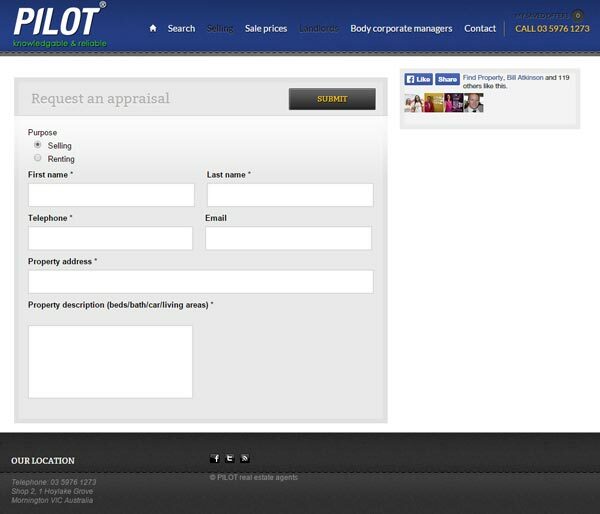 Your results will explode with a well-written appraisal page that targets a specific customer. How can I test the page? First like I said before please, do not ask other real estate agents what they think. They like you are too deep in real estate and we all get tunnel vision in whatever we work on, especially if you have been in real estate for several years. Once I left real estate and looked back, I think I wasted 5 years of my career doing everything the wrong way. The Internet has moved in and changed everything, and I hope to be your guide and save you a lot of time. I want to take you directly to the solution. The best way to test your page is by using the letter first on your spouse, if they are not in real estate. Share it with your friends, and business associates outside of the business. Then share it with your past clients and buyers and ask them to help you make it better so you can help more people sell their home as you just did for them. These are the best people to ask. If you get a response like “That’s awesome, where do I sign?“, then you have a appraisal page that you can start testing on live visitors. 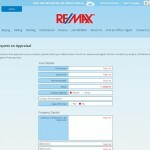 Also test your long form sales letter using direct mail to appraisal your did 6-12 months ago. You will get a listing just doing this if your letter is good enough. 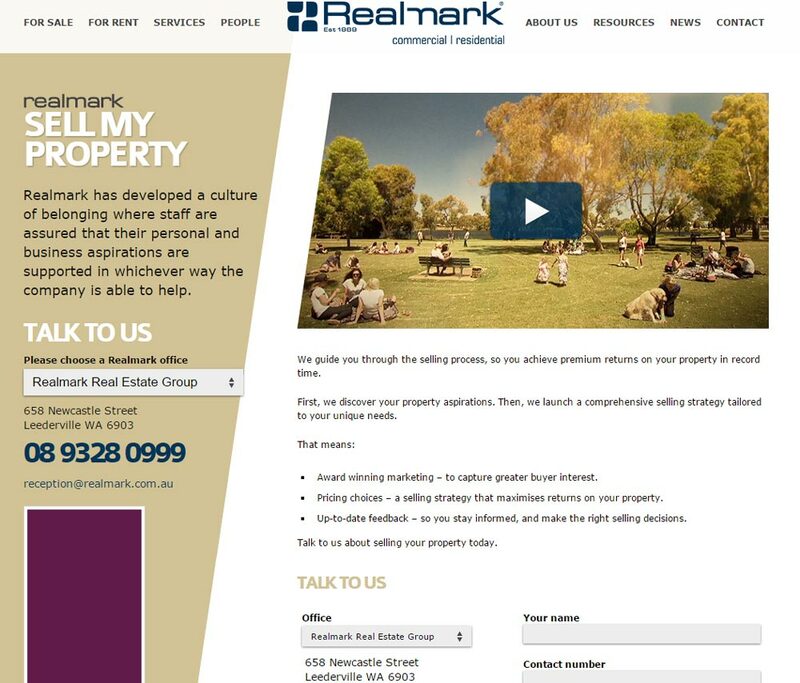 Once your appraisal page is live online you need to test it on 500 – 1,000 visitors. Change nothing until you have had at least 500 visitors and monitor your page conversion rate. Trust me your first rough draft will work for you. Just make sure you fix grammar and spelling though. Once you have had enough visitors only then can you make a change and split test the your page results. You may not even need to, because if your page is well written you might just get too many seller leads. It almost sounds too easy, does this really work? Yes. 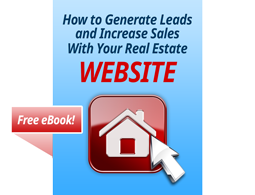 It really is this super easy to generate seller leads online. The hard part is actually setting aside a few quiet days and work on crafting an excellent appraisal page. 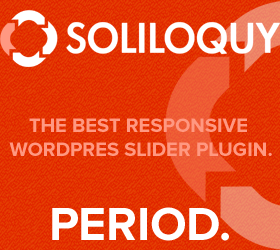 This will be your first true website Landing Page. 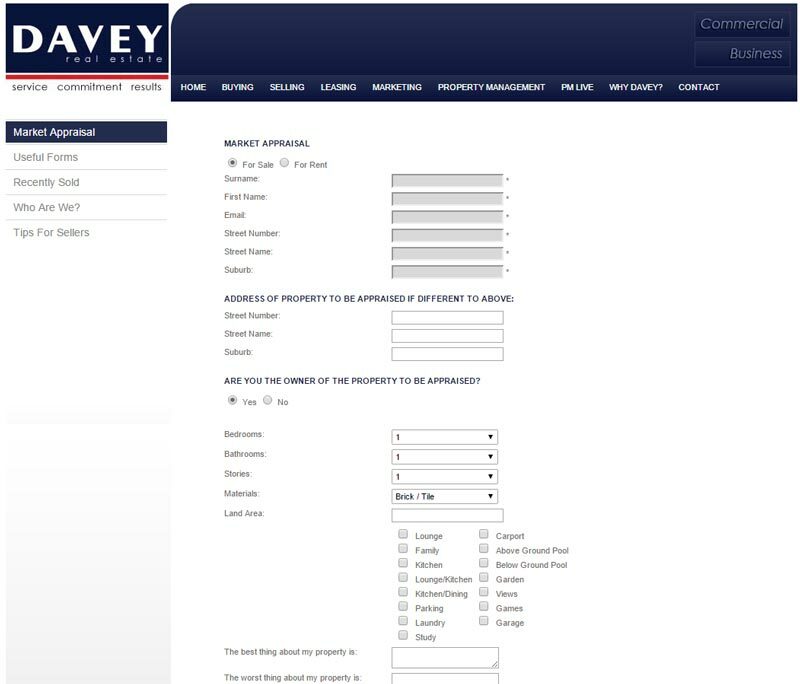 You can expect a night and day difference in the quality of your appraisal leads that are generated from this page. Create a printed version and distribute at your open for inspections. The majority of potential buyers are sellers. If you dedicate time to really create a persuasive master appraisal page, it will outperform every single other prospecting source you use combined. You just need to drive traffic using the mentioned marketing strategies above. Don’t just take my work for it, Josh over at Stepps has built an awesome product called LeadAgent that builds these pages for you. Before you handball this, make sure you write at least this page yourself. Once you do this yourself, it will transform your prospecting. Is there a template I can start with? The best sales letter template you can use to craft your appraisal page was created by Dean Jackson a Canadian real estate mogul and information marketing author and fantastic copywriter. Its called the 60-Minute Naked Truth Sales Letter Formula which can be found here at Michael Fortin’s website. All too often you can get stuck staring at a blank page and not know where to start. This 60 minute formula will help you create a fantastic appraisal page and help you get started. You should save this letter as a template for sales letters, like your to include in your appraisal kit which explains your whole selling process to your appraisal lead. Not all leads will be ready to sell today as you already know that. They say they are ready, but with most sellers they could sell today, in a few weeks or several months as their situation changes. Make sure you have an effective automated email follow up system to keep in touch with them weekly until they are ready to act. After you have created an effective appraisal page, tell us about it and your success in the comments below. Where else can I learn how to write copy for my website? I recommend you visit Copyblogger and download their Copywriting 101 PDF and their Landing Page PDF some of their fantastic eBooks which can give you even more guidance on writing and how to write copy on the web. Copyblogger is the best place to learn how to write copy for the web, and after reading their posts and PDF eBooks, be sure to provide them to your future copywriters too. Once you have absorbed the free PDF’s make sure you consider Copyblogger’s Rainmaker Platform to help you accelerate your website growth with clear, effective copy. Be sure to subscribe to our tips, strategies and updates. Also make sure you click here to subscribe to be kept in the loop with tips and clear cut strategies that you can follow..